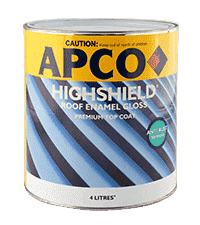 Professional quality alkyd enamel with smooth, glossy finish. 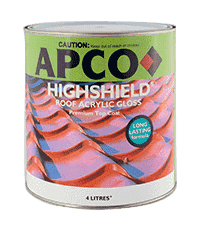 Deco Trade Alkyd Gloss Enamel is a professional quality high gloss alkyd based enamel with a smooth, tough film and good washablity. Remove all dust, dirt and grease from the surface. If some mould or fungus is present on the surface, wash it with a commercial bleaching agent and then treat it with an antifungal solution. Apply Deco Trade Alkyd Undercoat to prepare an even surface. Apply 2 coats of Deco Trade Alkyd Gloss Enamel with a gap of 16hrs between coats using brush, roller or spray.